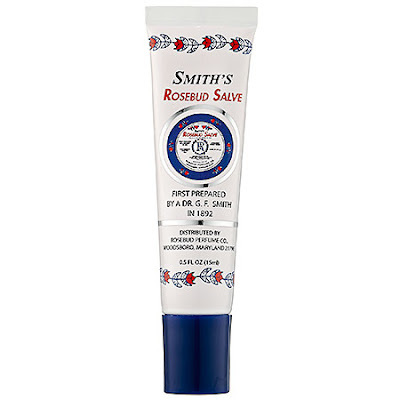 Words cannot express how happy I am that Smith's Rosebud Salve now comes in tube form. For the longest time, I was dipping my fingers time and time again into the pot it previously occupied, always wishing I could just slick it on easily from a tube. And now I can! 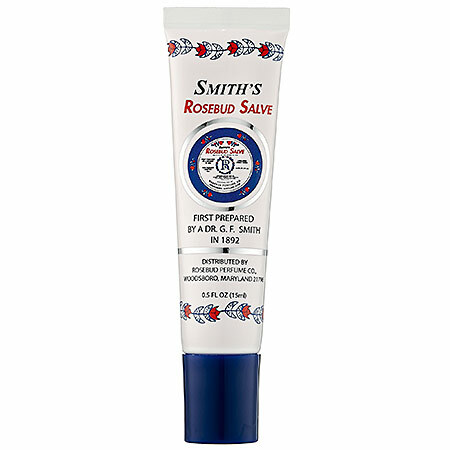 Seriously, thank the lord for Rosebud Perfume Co. Rosebud Salve in a Tube. (Unfortunately long name, but I'll deal.) My life is now changed forever. Rosebud Perfume Co. Rosebud Salve in a Tube retails for $6 at sephora.com. Posted by Jamie at 6:30 AM Labels: lip balm, lipgloss, Rosebud Perfume Co.